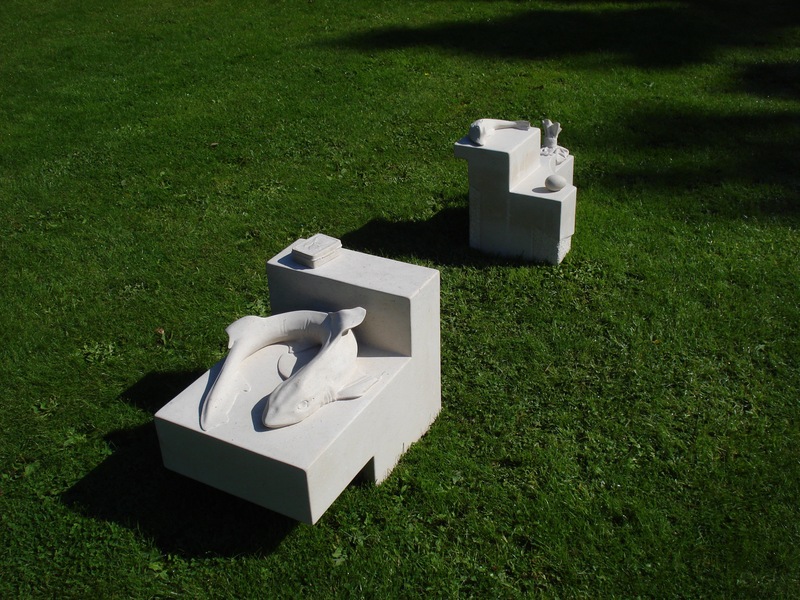 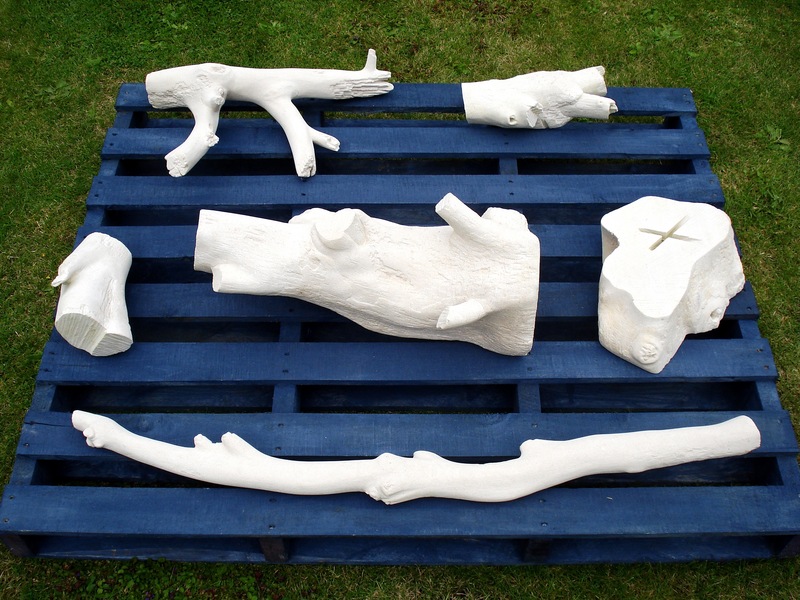 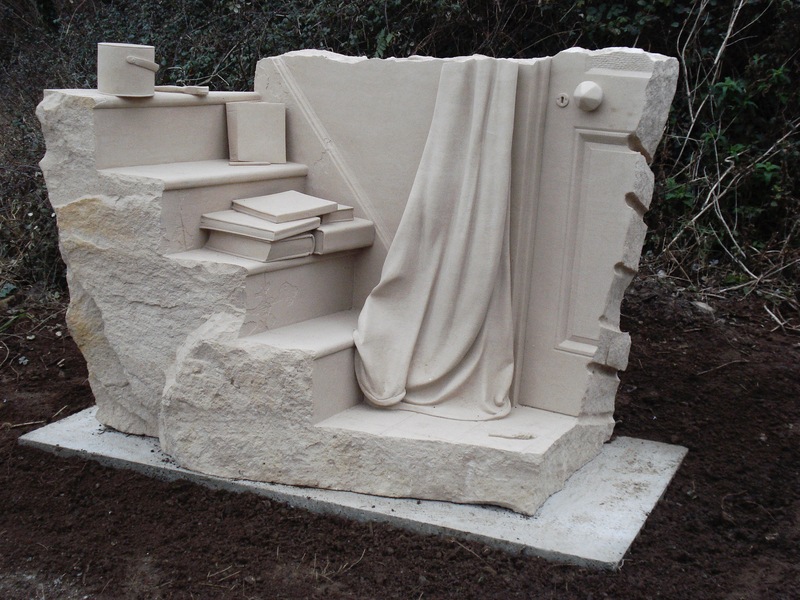 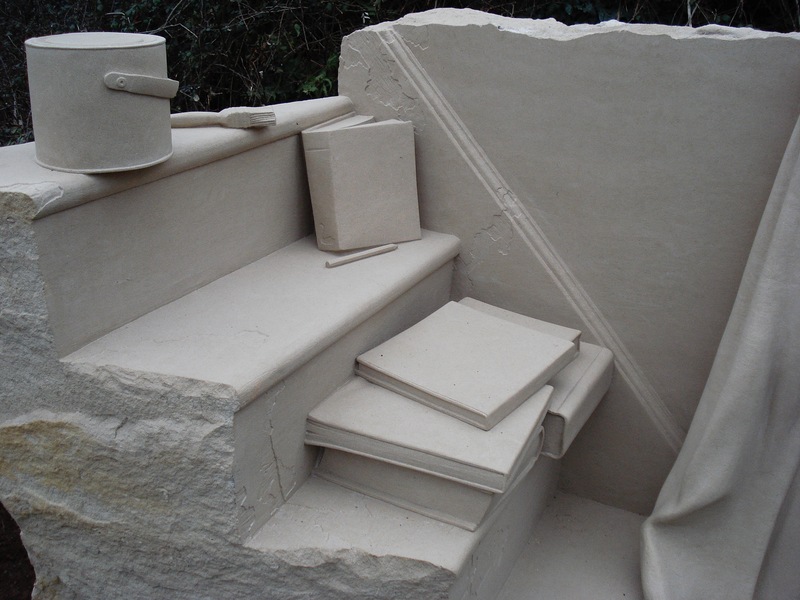 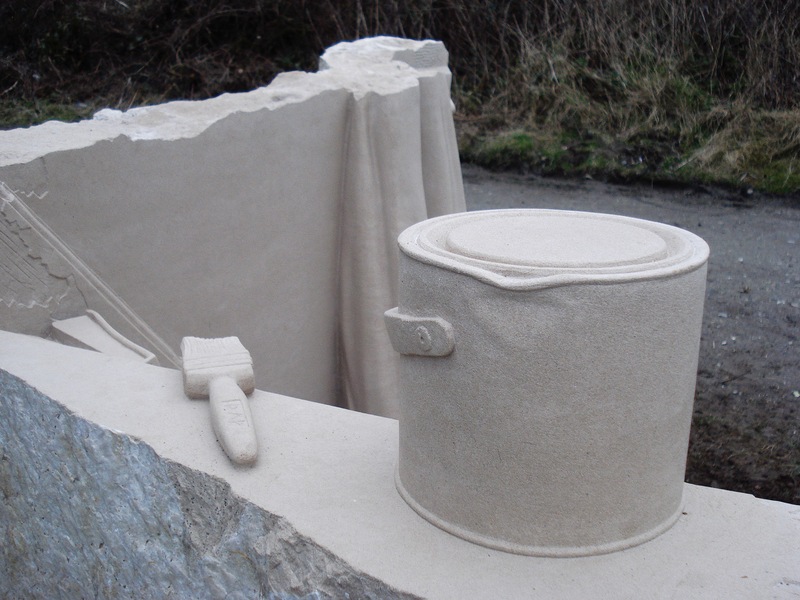 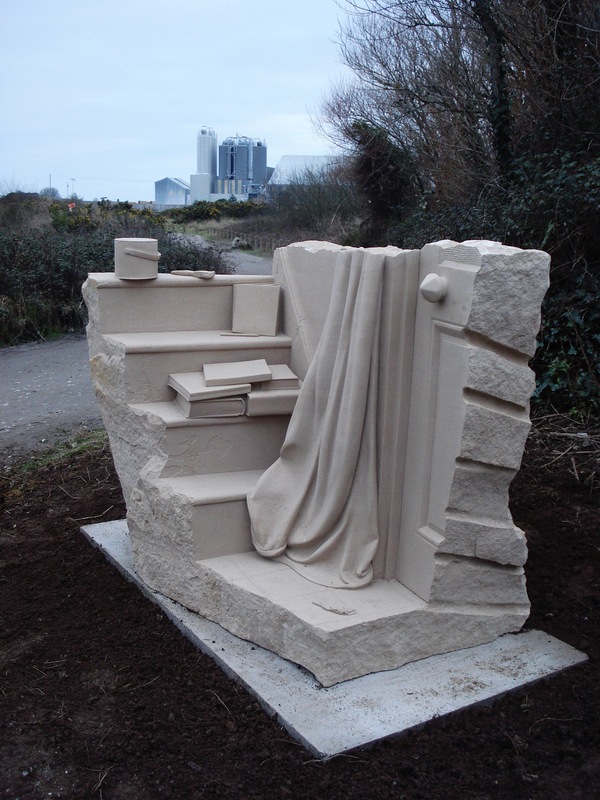 Perfect Blue Building, carved Portland Limestone and pallet, 2009. 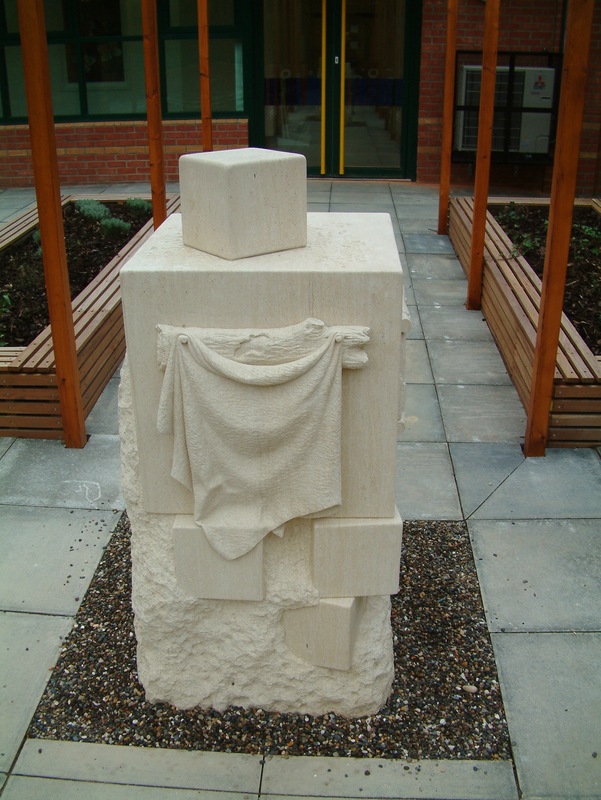 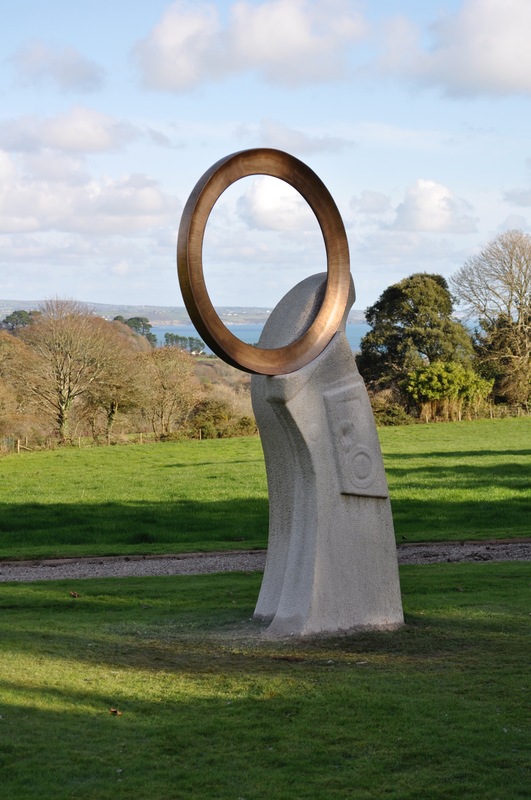 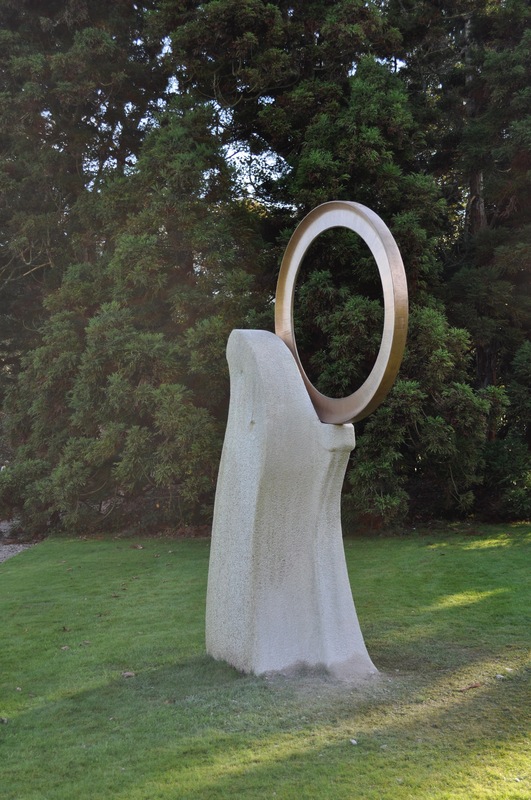 Arbor, Granite and bronze, 2011. 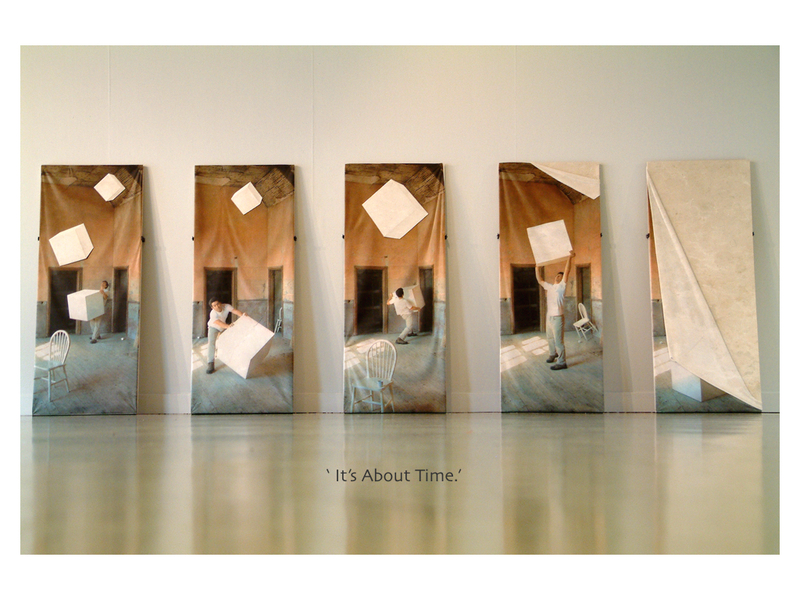 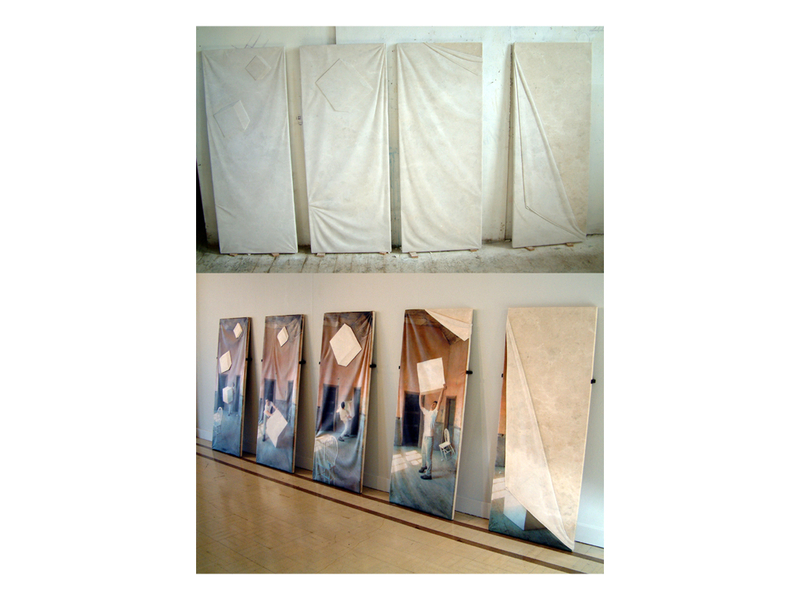 It’s About Time, digital print on carved marble, 2004.